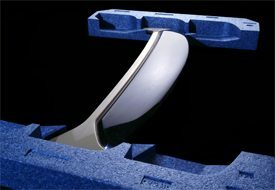 Cellular foam is an excellent media for the safe transit for scratch and vibration sensitive items. 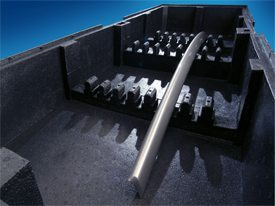 The foam can be both moulded of fabricated depending on the quantity required with little or no tooling costs. 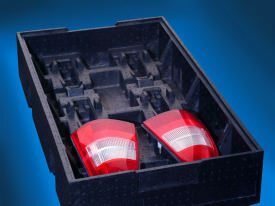 Below, high quality painted automotive components are located securely within moulded EPP supports, providing safe secure transit lineside where the parts are easily picked, prior to being placed into the vehicle. 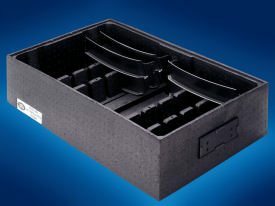 These trays can be designed to fit onto standard euro pallets or stillages and are also stackable removing the need for individual lids, whilst assuring no contamination of the internal parts.